Love aliens? 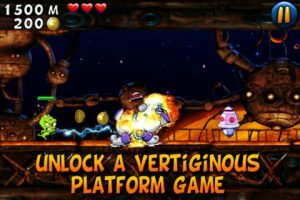 Love platformers? 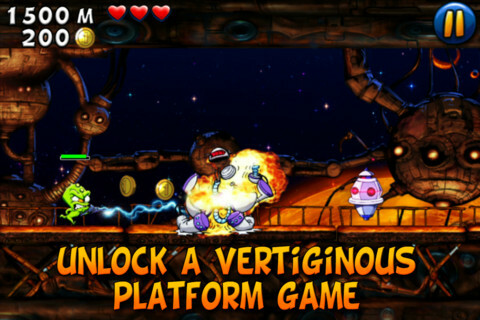 Love killing time by playing games on your iPhone? Then you’re gonna loveAliens Abducted, developed by Bilu Games. Bilu Games is a small studio focused on creating educational games for kids, emphasizing quality graphics and design as well as important educational information. Moe, Barry and Marvin were abducted from their planets and challenged to travel across the universe. Each is the sole survivor of a species where their homeworld has been destroyed. Now, it’s your job to help these far-flung aliens. To do that, there’s a surprising twist: you need to master some educational content, namely, information about the planet Earth. 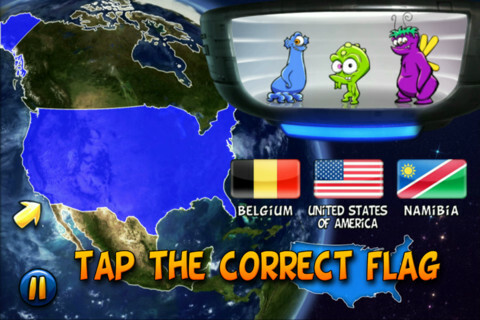 With great character designs and super cute sound effects, Aliens Abducted is a really cute game that teaches geography and country flags to kids and adults alike. 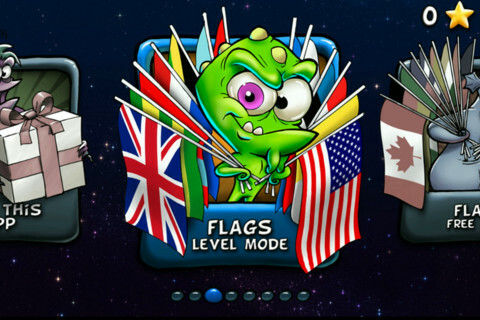 The game’s library will help you learn each country’s shape, flag, capital city, and population, all while trying to beat the clock. It’s surprisingly addictive, thanks in part of the animated antics of the aliens when you get a question right or wrong. If you are smart enough to beat the geography portion of Aliens Abducted, you will be rewarded with a treat. 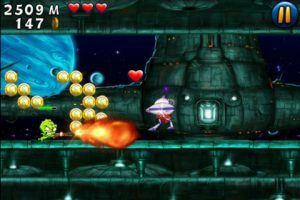 When you collect enough stars, you’ll unlock Escape Mode: That’s where you fight as Moe against a bunch of robots in a cool platformer. It’s a nice reward for learning your geography and mastering the location of 150 countries, and a smart inclusion in an educational app. 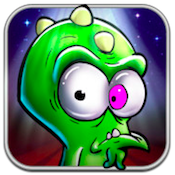 Aliens Abductedis compatible with iPhone, iPod touch, and iPad. Requires iOS 4.3 or later. A small expedite fee was paid by the developer to speed up the publication of this iPhone game review.